"Want a dab?" You may have been asked this by a red eyed stoner with a big grin. They pass you a glass bong, but there's no weed in it!? And it's not got a glass bowl but a hot metal "nail" on it!? What you've been passed is often known as a rig (oil rig), it's a bong converted to smoke hash oil on. A rig normally consists of a titanium nail (sometimes glass or ceramic) with a glass dome with a hole it in goes over that, and that goes into an adaptor in your bong, or straight on to bongs designed for BHO. You heat the nail with a torch lighter, slide the dome on to contain the smoke, and "dab" a small bit of BHO on the nail with your dabber. Warning: BHO is very strong, so even a little bit can get you very high! Butane hash oil, or BHO for short is an extremely strong, concentrated form of cannabis. You'll see it in a few different forms and under many names including: BHO, butane hash oil, butane honey oil, hash oil, honey, oil, wax, shatter, extracts, concentrates, full melt, budder, and probably many, many more. While the "hash oil scene" is still young in Europe, in the United States it has already become a huge trend. If you walk into a medical marijuana dispensary a medical state in the USA, like California, or a legal recreational state, like Colorado, you'll find a huge selection of concentrates. For more info check out OTHER ARTICLE LINK HERE! 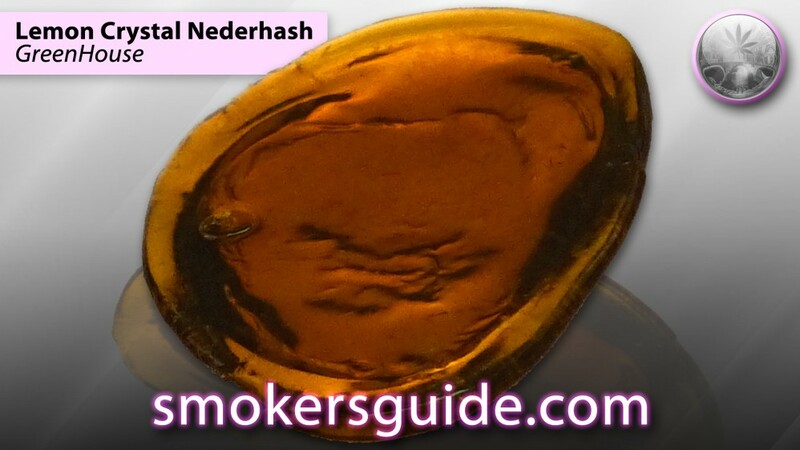 Last year, at the 2013 High Times Cannabis Cup the Neder Hash Cup (award for best Dutch hash) was dominated by BHO and marijuana concentrates. The Green House Coffeeshop took yet another first place with Lemon Crystal, and 3rd Place was taken by The Bushdocter Coffeeshop for their Tangie Wax, a wax-like form of BHO made from DNA Genetics Tangie. The only non-BHO winner was the Green Place Coffeeshop with their Shoreline Solventless. Only a few coffeeshops have BHO and concentrates/extracts, one of our favorite's is Coffeeshop 1e Hulp, who have some of the best BHO in Amsterdam. To learn more about the different types of BHO take a look at our article Cannabis Concentrates - Butane Hash Oil, Wax, Shatter. All the products above are available at GrassCity, they sell nails, domes, dabbers, rigs and more - all you need to dab!